Kartemquin is delighted to announce that Cher has joined the team on our award-winning short documentary Edith+Eddie as Executive Producer. The short film – directed, produced and edited by Laura Checkoway – follows the story of America's oldest interracial newlyweds, Edith Hill and Eddie Harrison, whose love story is interrupted by a family feud that threatens to tear the couple apart. After seeing a news piece on the couple in late 2014, Cher became involved in helping their case behind the scenes and forged a bond with Checkoway. "They [Hill and Harrison] were truly in love. What happened to them is horrible–it's elder abuse and it's happening all over. We're hopeful this film can make a difference," said Cher exclusively to The Hollywood Reporter. 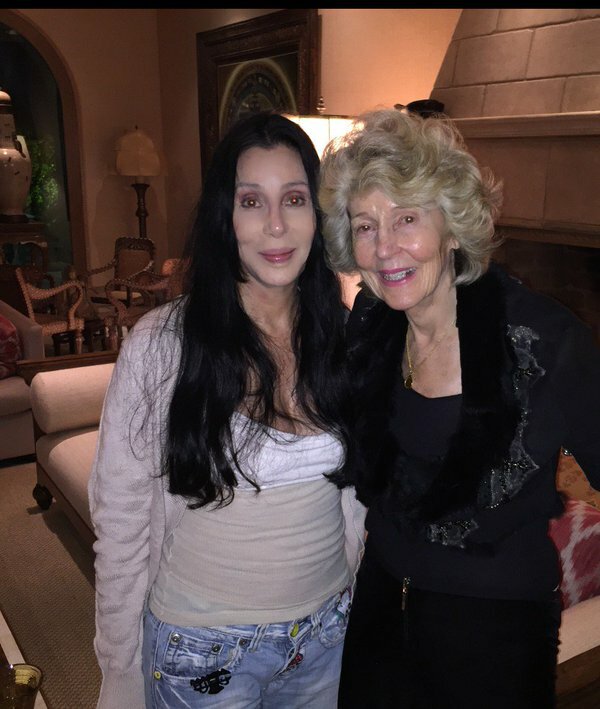 Cher has a personal interest in elder issues as she cares for her own 91 year old mother, Georgia Holt (pictured above with Cher). Edith+Eddie was recently selected by the Cinema Eye Honors for its annual "Shorts List," which lists the 10 best short nonfiction films of the year. The accolade follows award wins at the Palm Springs International Shortfest (Jury Award for Best Documentary), the Montclair Film Festival (Audience Award for Best Short), the Rhode Island International Film Festival (Youth Jury Award for Best Documentary Short), and the Nevada City Film Festival (Best Documentary Short). The film also received a Jury Honorable Mention for Best Documentary Short at Sheffield Doc/Fest. The film next screens in October at the Hot Springs Documentary Film Festival, the Hamptons International Film Festival, the New Orleans International Film Festival, the Unorthodocs Film Festival at the Wexner Center for the Arts, and the Chicago International Film Festival on October 22.